Rare Irish Hand Carved Bog Oak Book Slide of good size proportions, mid Nineteenth Century, of outstanding quality and condition. 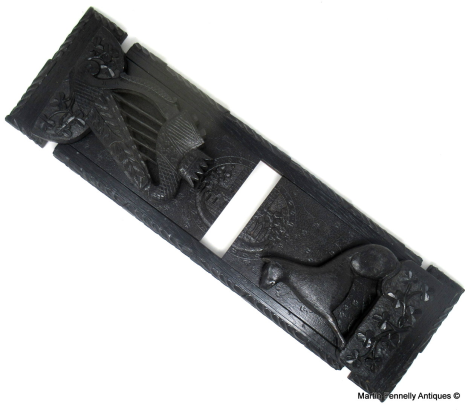 The adjustable base with allround Laurel Leaf decoration and a central split carving depicting a view of Muckross Abbey Killarney. Attributed to Cornelius Goggin 13 Nassau Street, Dublin Ireland. One hinged folding bog oak bookend is carved depicting an elaborately carved seated Irish Wolfhound. 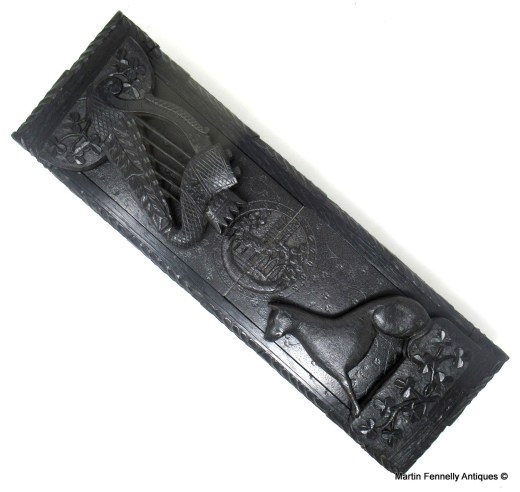 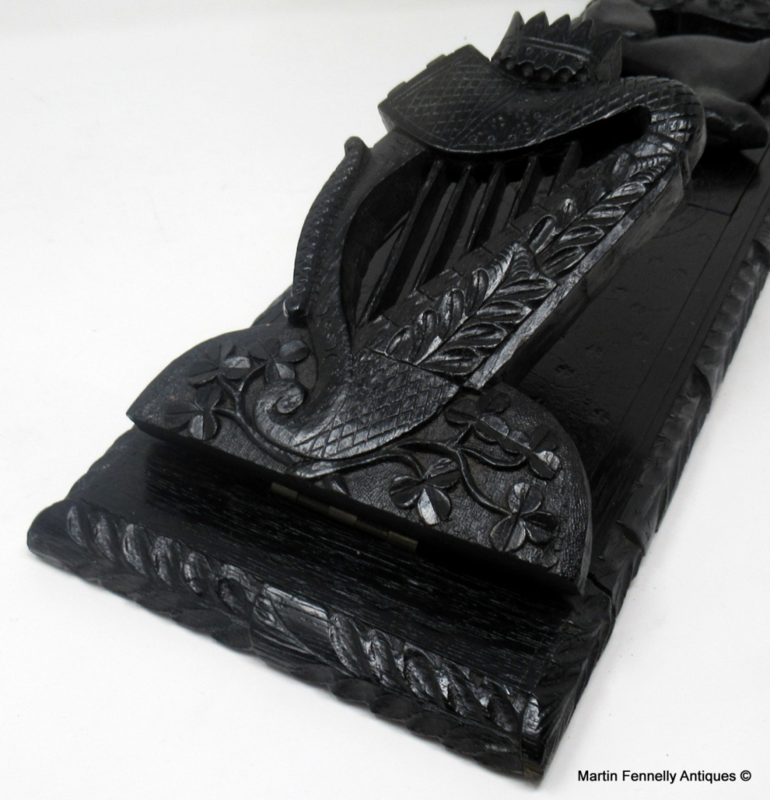 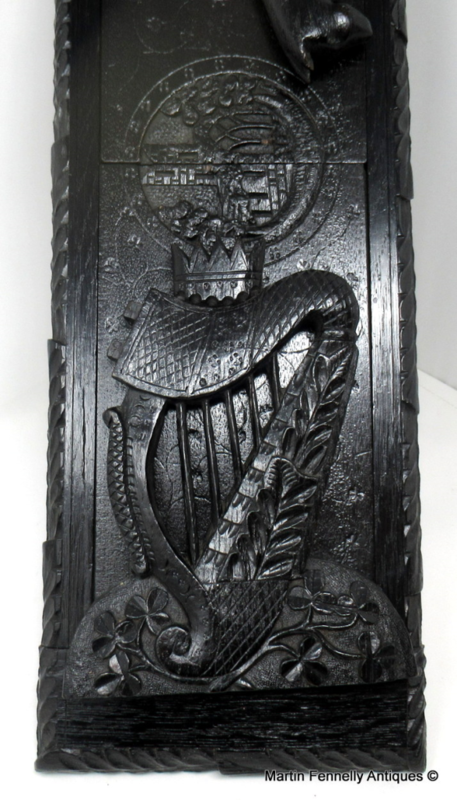 The other folding bookend is carved depicting an Irish Harp above a solid base with shamrocks. Condition: Good untouched condition with almost no losses to carvings, nice surface patination. 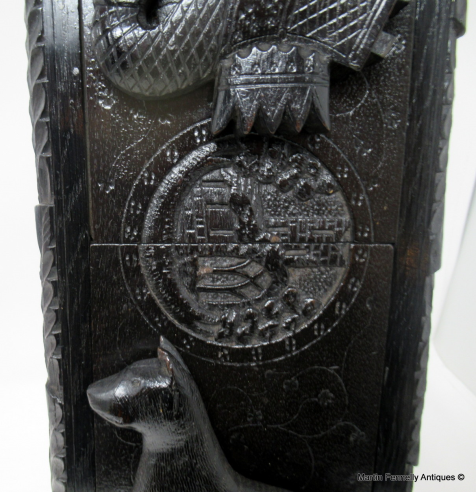 Width: (an impressive) 19.25" (49cm). 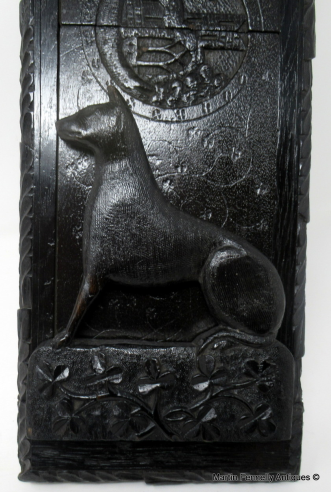 Depth: 6.25" (15.75cm). 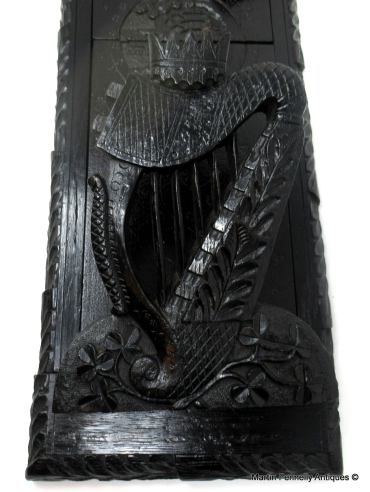 Height: 1.75” (4.25cm).